A photo of Miss Blanche Hutto in the Fort Wayne News Sentinel March 5, 1966. 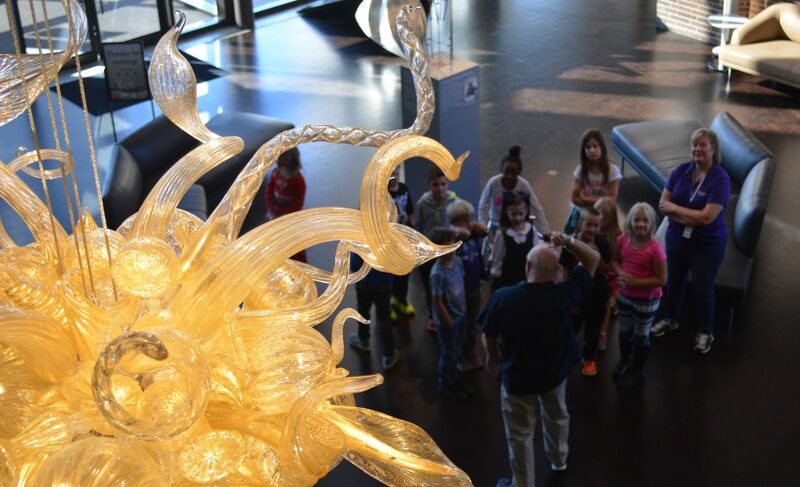 The article discusses Miss Hutto speaking to the Exploring Arts Group of the Fort Wayne Museum of Art. The title of Miss Hutto’s presentation was, “The Elements of Design”. Used with permission from the Journal Gazette Photo Editor. An exotic-sounding name keeps popping up in my world – Miss Blanche Hutto – compelling me to take a deep dive into Fort Wayne’s art history. If you read my December blog post about Bill Blass you know that Miss Hutto was Blass’ art teacher at South Side High School in the 1930s when the young designer was a Scholastic Award recipient. And if you attended the panel discussion on the Fort Wayne Art School in December, you heard Don Kruse reminiscing about Miss Hutto who was one of the teachers of the Art School’s Saturday Young People’s Classes when Don was a student. I heard her name as a teen in the 1970s when my mother would tell us about her fascinating experiences at various Fort Wayne Museum of Art lectures and demonstrations that Blanche organized. I loved her poetic-sounding name (her mother, Nellie, was a poet), and envied those who were entertained and educated while attending all sorts of lively talks and activities conducted by Miss Hutto. When I began working at FWMoA, Blanche’s name appeared inside the front covers of many of the art books in our reference library – they were given by her estate in the 1980s. The Fort Wayne Journal-Gazette October 24, 1965 image. “Miss Blanche Hutto, widely recognized for her unusual work both in weaving and enameling, will be among the many skilled artists and craftsmen whose work will be offered for sale at the Art Museum during the three-day ‘Art for Sale’ event. Miss Hutto has exhibited at numerous museums and art fairs and has received wide praise for her work.” Used with permission from the Journal Gazette Photo Editor. The topics of her talks ranged from the Byzantine to the Impressionists, from the elements of design to portraiture, and were often supplemented by her travel photographs and objects of art and craft from her personal collection. In her “retirement” after decades of public school teaching, she taught hands-on classes as part of the Museum’s Decorative Living Series – some of these were on needlework, enameling, making sculptures from found objects, ceramics, reverse applique, weaving, macramé, photograms, and jewelry crafting. Blanche Hutto truly lived a life in art! The exhibition 1026 West Berry Street: The Fort Wayne Art School, will be up through February 10, 2019.